Whether you’re a one-person builder or a major national construction company, you’ll face the same questions and choices about whether to hire or buy your equipment. There are pros and cons to both sides of the argument and it’s important to work out the usage ratios for the equipment that your business uses and what’s best for your unique operation. We examine the benefits and drawbacks of hiring vs buying construction equipment to help you establish the most ideal way of meeting your equipment requirements and ensuring that you have the most profitable and productive resourcing solution. When you buy equipment outright, it means that it’s readily available whenever you need it. This may be especially important in times of high demand. Another advantage is that the asset is on your balance sheet and may provide a tax benefit. However, construction equipment does require a large initial capital outlay which is not always desirable, particularly in times when cash flow is tight and margins are being squeezed. Have a look at the following list of advantages of hiring construction equipment and you can then make up your own mind whether equipment hire or purchase is the best option for your business. With hiring, the fees are relatively low yet the benefits are substantial. You don’t have all the costs related to owning the equipment (such as registration fees, storage, maintenance, transport etc) and you’re able to put your working capital to better use. You also know what your hiring costs will be on a month-to-month basis, so budgeting is easier. You only hire the equipment for the period that you need and you hire equipment that is right for a particular project, so there’s no wasted resources. With equipment hire, you have the flexibility to pick and choose what you want and when you want it. This can be particularly beneficial for those operations that experience fluctuating demand or which take on niche projects, explore new markets or do occasional jobs because specialised equipment can be brought in for relatively short periods of time. Hiring is a way of mitigating the risk of investing significant amounts of money on a piece of equipment only to find that the situation changes (it could be downturn in demand, the loss of a contract, unavoidable delays in the project etc) and you are left with an expensive asset that isn’t earning its keep. In periods of uncertainty, and if you’re unsure of how much you’ll be using the equipment, it’s definitely worth considering hiring and mitigating your risk. Once you’ve bought the equipment, you’re stuck with that technology. However, hiring gives you ready access to the latest machinery, so you can keep abreast of any new developments and pass on the benefits to your customers. Also, in many instances, building companies are able to hire better quality equipment than they could realistically afford on their own, which enables them to achieve better outcomes. If you own your own equipment, you’ll probably need to know more about its inner workings than if you hired it. When companies hire equipment, many find that they only really need to know how to operate the machinery as the supplier handles all the maintenance, servicing and repairs. What’s more, if a piece of machinery is left idle for extended periods of time because there’s no demand for it, there is the risk that it’ll need servicing before coming back into operation. With hiring however, the equipment is in peak condition from day one. You may well end up buying your own building equipment, but hiring does give you a great opportunity to trial various makes and models without any major capital investment and long-term obligations to see which one works best for you. Of course, the decision whether to hire or buy building equipment will depend on the nature of the work that you’re doing, your balance sheet, the level of flexibility that you desire, availability of storage space and so on, but be assured that when you hire from an established equipment hire company like Concrete Hire, you get qualified, expert advice and recommendations for the optimum solution for your individual business. Concrete Hire has been in the business of specialised concrete equipment hire in Perth for over 20 years and has a reputation for high quality machines at affordable prices, backed by genuine and friendly customer service and attention to detail. Concrete Hire is also the only supplier in West Australia to have its own dedicated service centre on site, staffed by fully qualified and licensed mechanics and electricians. This means fast, professional repairs and servicing including electrical testing and tagging of all types of concrete equipment, plus they offer discounted hire rates while your equipment is in for service. For more information and a detailed list of all their concrete equipment for hire, visit www.concretehire.com.au or give Geoff Holtmeulen a call on 0418 222 273. Many organisations use the Christmas holiday period to spruce up their workplaces or to undertake necessary maintenance. And because the workplace is generally empty during this period, many businesses seize the opportunity to tackle larger scale projects like cleaning or upgrading the walls, floors and carparks because the job won’t impact the operation or disrupt productivity. So, whether you’ve got a warehouse or a workshop, an office, factory or retail space, it can be a good idea to use the festive season break to do cleaning or maintenance so that your premises are shipshape for the start of the new year. Employees, customers, suppliers and visitors will all appreciate the cleaner, smarter environment and it can be a project well worth doing. Of course, to get the job done efficiently and properly and within the time constraints, you do need the right equipment. And that’s why your choice of equipment hire company really matters. If they’re worth their salt, the hire company will ask probing questions to make sure that the equipment that you choose is appropriate for the job - and they’ll guide you to make good decisions about what it is you want to achieve. For example, say a business owner wants to clean the concrete floor of his warehouse over the December break. Heavy foot traffic and rough treatment from equipment over the years has resulted in the floor becoming stained, pitted, scratched and a little uneven in places. The business owner thinks he just needs to hire a scrubber and a pressure washer to clean the floor - but in actual fact, a better option would be to hire a concrete grinder, polisher or burnisher. Why? Because a complete overhaul of the concrete surface would be a far better option than a superficial clean and would deliver a huge number of benefits, including long-term cost savings and reduced risk. An experienced concrete equipment hire company would establish the outcome of the planned project and recommend appropriate equipment and processes to achieve the desired result. Polishing the old concrete floor would make it not only look good for longer, be more durable and more functional - it would also make the surface even, slip-resistant and much safer - all of which are key considerations in a workplace. That said, if the company wanted to simply clean their floor or the walls, the hire company would first establish the size of the area that needed cleaning and work out what type of equipment would be best. Depending on the surface area, they would recommend either a walk behind, self-propelled or ride-on scrubber or sweeper and if the situation demands, may even recommend a machine like a walk-behind pressure washer that has a detachable hand-gun for cleaning walls and tight areas. As clichéd as it sounds, having the right equipment for the job saves time, effort and money. It’s that simple. If you’ve got a construction project to complete - be it a DIY job at home or a major commercial undertaking - making sure that you’ve got the right professional-grade equipment at your disposal will help you meet expectations in terms of quality, price and timing. Hiring specialised equipment can be the best solution for achieving your objectives. And it’s easy too. Check out our step-by-step guide for hiring equipment to help you get the job done to specifications - on time and on budget. Not all concrete equipment hire companies are the same, so make sure you’re engaging with a professional, experienced provider with a reputation for quality equipment and customer support. The more you know about their reputation, their knowledge and their industry experience, the better. You’ll not only be reassured about dealing with a reputable company, but you’re likely to find that they’re more of a partner than just a supplier if they’ve been involved in similar projects in the past and have a good understanding of the conditions and challenges. Research what equipment you need for your project. Different jobs require specialised tools with the right specifications and watching videos online and reading background articles can be useful aids in finding the right solution. Our experienced team members are also very happy to answer questions, give advice and make recommendations based on their industry experience. Our website has full details and specifications of all our equipment, and if you know what you want, it’s the easiest and most convenient way to order. There are two ways of getting hold of your concrete equipment. You can collect it yourself from our premises or we can arrange delivery at your convenience. All of our equipment comes with comprehensive operating and safety instructions, and as an added benefit, many of our tools and machines come with additional ‘Tips for Use’. When you hire concrete equipment from us, you get much more than just a piece of machinery. We offer total support and back-up service and are always on hand to respond to any issue promptly. If there is a concern, we arrange on-site service and repair and if necessary, we offer a hassle-free equipment exchange to enable your job to proceed as quickly and seamlessly as possible. Either arrange on-site collection of your equipment with us or return it to us in person. If you want professional results, quickly and cost-effectively, give Concrete Hire a call on 0418 222 273. You won’t find a more efficient one-stop centre for all your concrete equipment hire needs in Perth, and we look forward to being of service. Many contractors and property owners choose shot-blasting to clean and prepare their existing concrete, steel and asphalt surfaces because the process is fast, efficient, cost-effective and environmentally friendly. Shot blasting can be used for a variety of purposes but its primary function is to strip, clean and profile surfaces that may have had some kind of surface preparation in the past ahead of the application of new chemical treatment, coatings or overlays. It’s popular because it doesn’t require water, it leaves the profiled surface clean and dry and immediately ready for further work, no harsh chemicals or acids are required and there’s no need for time-consuming and messy waste disposal. Let’s take a look how this one-step process works. A shot blasting machine is a specialist piece of equipment which comes in either a walk-behind or ride-on option. Basically, a walk behind machine uses a high-performance, rapidly rotating centrifugal wheel to propel abrasives (such as fine steel shot) at high velocity onto the surface that is being prepared. A ride-on shot blaster works on the same principle, except that it uses a paddle wheel configuration. In both types of machines, the shot is charged by the kinetic energy of the blades of the rapidly rotating blast wheel and accelerated onto the surface. These abrasives strike the surface (be it concrete, asphalt or steel) and bounce back into a recovery chamber along with any debris, dust and contaminants. An air-wash separator then separates the material collected, recycles the shot back to the paddle wheel and transfers the dirt and debris to the dust collector. Thanks to the high power vacuum and innovative design of the machines, this process is completely contained and dust-free and makes it very easy for operators to handle the waste products and change bags if necessary. Different surface profiles can be achieved by varying the size of the shot and the speed at which they travel with the advantage that regardless of the desired surface finish (fine, matte or rough), the finished product after shotblasting will be uniform and consistent. Generally speaking, the smaller the abrasive, the less the power of impact and the smaller the profile will be - whilst larger shot is good for roughening up a concrete substrate to improve its slip resistance. Larger shot can also be used to create a unique look for decorative coatings but an experienced concrete equipment hire professional will help you choose the right abrasive size and format for a particular application. The fast production rate of the technique, the versatile finish profiles and low operating cost make it a popular choice in many different industries but remember, a shot blaster is a powerful machine and should be used by a qualified and experienced contractor to achieve optimum results. If you’re considering hiring a shotblaster for your project or if you have any questions regarding shot blasting in Perth, get in touch with Concrete Hire. Through their many years experience working in the concrete industry in Perth, they’ve acquired a wealth of knowledge and understanding about specialised tools and they stock an extensive range of quality concrete equipment for hire at affordable rates. Whether you’re a professional contractor, tradesperson or a DIY home-enthusiast, contact Concrete Hire on 0418 222 273 for all your concrete equipment hire needs. Shotblasting is one of the oldest and most economical methods of levelling and preparing a concrete floor but, as with any concrete preparation method, some important points should be noted before embarking on any project. A shotblaster is a highly specialised machine that works by forcibly propelling fine steel beads or ball bearings onto the surface at high velocity using centrifugal force to create a ‘sandpaper’ effect. This is done in a controlled pattern and direction to remove thin surface deposits such as dirt, grime, coatings, curing compounds, paint or other contaminants. These machines are also useful for cleaning and profiling a concrete floor in preparation for the application and adhesion of coatings, overlays and decorative toppings and can also be used for aesthetic purposes, such as etching stencils or floor graphics. Another good thing about using a shotblaster is that they leave the surface dry and ready for the next stage, so you can get going immediately. A number of factors control how deep the surface removal is - including the size and concentration of the metal beads, the rate at which the shotblaster travels, the impact force of the beads and the properties of the existing coating. You can vary the travel speed of the machine and the size of the beads to achieve the desired results. TIP : If you want an aggressive, more open profile in preparation for a thicker coating such as a tile, run the machine on a slower drive speed and use larger beads. For a lighter profile, better coverage and higher production rates (for example if you’re going to apply a thin coating or sealer, or even simply leave have the concrete floor surface bare), run smaller shot through the machine with a faster drive speed. It’s important to note that while shot blasting is an affordable option for concrete resurfacing, it’s not always the best choice especially when thick or heavy elastomeric coatings, deep stains or rubbery mastics need to be removed. With thicker coatings such as urethanes, the shot can simply bounce back and whilst it is possible to do several passes with the machine to remove the thick coating, some shot blasters can leave visible paths as a result of the overlap of successive blast lines. If the finished coating or overlay is to be a thin, clear epoxy or urethane, these imperfections will show through. Shotblasters come in various different sizes and models, all of which require vacuums. They are typically walk-behind or ride-on models, with smaller machines ideal for working in tight areas like next to walls, around equipment and into corners. You also need to know that shotblasters are powerful machines and require a fair amount of skill and care to avoid damaging the floor and achieve optimum results. TIP : Make sure you hire your shot blasting machine from a professional company that asks all the right questions upfront to ensure you get the most appropriate concrete equipment, steel shot and steel grit for the job. Whether you’re building a new home, renovating an office or planning an industrial space, choosing the flooring is a big decision on many levels. Flooring involves a sizeable area which means there’s nowhere for a wrong decision to hide. It’s also a sizeable financial investment so you don’t want to go down the wrong path there either - and plus, there’s the big question of maintenance and performance. But there is a flooring solution which ticks all the boxes for residential, commercial and industrial spaces and which is fast becoming the material of choice all around the world - and that is polished concrete. Due to the densification and polishing process, the smooth surface of polished concrete is particularly abrasion-resistant and durable, even in areas of high foot and wheeled traffic such as those found in warehouses and retail precincts. The floors are extremely tough and will withstand huge amounts of pressure and repeated usage. Polished concrete offers far superior durability over conventional softer flooring options such as linoleum, carpet and ceramic tiles and is renowned for its long lifespan. The quality of installation is paramount though, and you’ll find that the long-term performance of a polished concrete floor is directly linked to the quality of the raw materials, the installation and the level of care and maintenance. A polished concrete floor is one of the easiest to look after and really only needs minimum care to keep it looking its brilliant best. A regular sweep with a soft-bristled broom and a damp mop with a pH neutral cleaner and warm water will get rid of any accumulated dust or grime and restore the natural sheen of the smooth surface. Many people don’t realise just how easy it is to transform an old concrete floor into a smooth, blemish-free and stylish new one - all you need is the right concrete equipment in order to hone and polish the surface to a silky sheen. Using an old base (even if it’s been covered with tiles, carpet, paint or any other coating) to create a brand new look can save a substantial sum of money, but it’s also worth noting that laying a new polished concrete floor can be a more affordable option than wood, tiles etc. You certainly get value for money over the long-term if you choose polished concrete. Upcycling an existing concrete floor into a stylishly shimmering polished one is a great way to make a positive ‘green’ statement. You’ll eliminate the need to use precious resources to create a new floor and you’ll save your existing floor from being thrown into landfill. Another massive tick in terms of its environmentally friendly credentials is that polished concrete floors are energy efficient. They are cool in summer and warm in winter, so they can save on energy consumption - plus they reflect light thereby reducing the need for artificial illumination. High-gloss polished concrete floors are an excellent flooring choice because they look so good - anywhere and everywhere. Nothing beats their stylish sophistication and their shimmering finesse and with so many different colours and finishes available, there’s something to suit every situation. So, if you are considering a new building or upgrading your current premises, you’ll want to consider polished concrete for a ‘wow’ factor that delivers excellent results over the long-term. Remember to always consult an experienced professional about laying new concrete floors or polishing up an existing one so that you get the desired levels of quality, performance and durability. 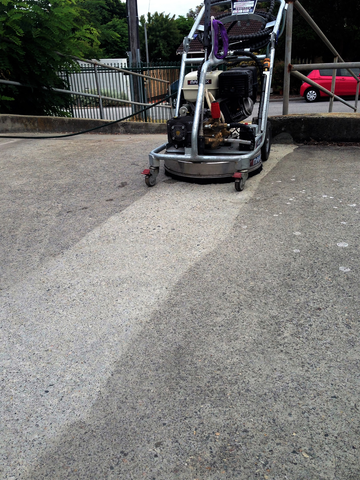 They can recommend the right concrete polishing equipment and make sure that you’ve covered all the necessary steps to create the perfect sheen. For advice on concrete equipment for hire in Perth or for any other concrete related query, get in touch with the experts, Concrete Hire. They have decades of experience in the concreting industry in Perth and offer an extensive range of quality machines and tools to make your job a breeze. Whether you’re in the construction business, the demolition business or anywhere in between - renting concrete equipment offers some clear advantages. Cost savings, convenience, flexibility and choice are probably the four most important reasons why so many industries opt for equipment rental, but there are plenty of other benefits. So, if your business has a need for specialised concrete equipment, you’ll definitely want to weigh up the pros and cons of renting vs buying before making a long-term capital commitment. Ultimately, the decision whether to rent or buy comes down to cost and convenience and whilst there are no hard-and-fast rules about how companies should manage their equipment inventory, the rental option generally makes a lot of sense. From a large construction company with multiple sites to a DIYer undertaking a domestic weekend project, every type of need can be met through equipment rental. It eliminates the need to compromise on the quality, timing and outcome of the job because the right piece of machinery can be hired to meet the project’s specific needs. For example, it makes sense to hire a large ride on floor stripper if a project involves a fairly large expanse of concrete flooring. It means the job gets done quickly and efficiently. However, if your business already owns a smaller walk behind floor stripper, you may feel obliged to use your existing equipment rather than outlay any money on renting something else - even it means that the job will take longer and require greater effort and manpower. Renting specialised concrete equipment also means you only pay for machinery when it’s actually required. There’s no downtime when a capital asset is lying idle. It also means your company can respond more effectively to ebbs and flows in demand. When your business is busy, rent equipment that you require and when there’s a slowdown, you can keep your costs down by handing back any unnecessary machinery. Renting also offers an advantage over buying in terms of access to the latest technology and equipment innovations. When you buy a piece of equipment, you accept its capabilities and of course, its limitations. But when you rent, you have access to the latest models and avoid any risk of your equipment becoming outdated or even obsolete. You also get specialised equipment that’s right for a particular job, rather than having to make do with a more generalised device. Of course, there is no definitive answer as to whether equipment rental is right for your business, so it’s advisable to discuss your options with a trusted, professional concrete equipment supplier who will provide honest and practical solutions. Come and talk to us about concrete equipment hire in Perth. We have over 20 years of experience in the concrete preparation and remedial industry and we carry an extensive range of high quality and superbly maintained equipment for hire on short or long-term contracts. Concrete Hire is also the only supplier of specialised concrete equipment which has its own fully equipped service centre in Perth plus we keep a full inventory of genuine parts so that your equipment can be back in service in no time. If you thought polished concrete floors were too industrial, it’s time for a re-think. Polished concrete floors have accelerated in popularity in recent years - not only because they’re a great-looking option but because they offer an extensive list of practical advantages. 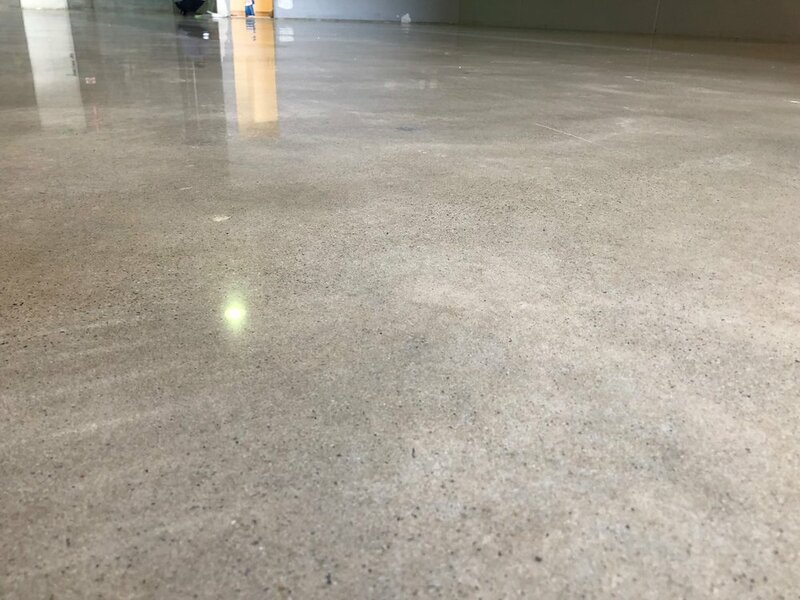 It’s no surprise therefore, that polished concrete is the flooring of choice for homeowners, retailers, schools, medical facilities, commercial property owners, industrial premises, hotels and restaurants - from bottom-end basic to high-end luxury and sophistication. The finish is achieved by grinding the surface of the concrete floor to expose the aggregate in the mix using concrete grinders and special diamond grit tools. The end result varies on the concrete mix itself and the level or ‘fineness’ of the tooling, plus you can add different colours or cut glass to a new concrete floor to suit individual requirements. Basically, you can choose the look you like. It’s that simple - and that versatile. Versatility is just one aspect of polished concrete flooring. Let’s look at five other advantages of polishing concrete - and you can make up your own mind about this fabulous flooring. A polished concrete floor will stay shiny and functional with minimal effort. Of course, it doesn’t clean itself, so some general sweeping and mopping will be required (with larger ride-on concrete sweepers and scrubbers used for expansive areas), but because it’s stain-resistant, tough and won’t chip or scratch easily, it’ll keep its good looks for years. Polished concrete is one of the toughest materials around, so its strength and durability gives it an advantage over other flooring choices like vinyl, tiles and epoxy coatings. Where durability is a pre-requisite, such as high-traffic and hard-wearing locations like shopping centres, factories and restaurants, it’s hard to beat polished concrete for extended service life. The cost per square metre of polished concrete is often much less than other flooring options, plus maintenance costs will be less over time too. It also has a longer lifecycle cost (said to be up to 60% less than other traditional floor coverings) and because of its durability, isn’t as vulnerable to damage as other materials so it won’t need replacing. It’s a sustainable flooring choice and doesn’t require hazardous cleaners or coatings which are bad for the environment to keep it looking its best. What’s more, polished concrete floors get a big tick for sustainability because they can actually save on energy costs. Their reflective surfaces increase ambient lighting, reducing the need for artificial lights plus they conduct heat and will absorb energy from the sun to provide natural underfloor heating. Concrete can be polished to varying degrees of shine, so the final result can mimic the mirror-like appearance of granite or marble at a fraction of the cost. The option of adding different colours to the mix takes aesthetics to a whole new level, plus it’s possible to create a ‘terrazzo’ look by grinding through the top layers of the surface to expose the aggregate. Add versatility, hypoallergenic qualities, slip resistance and ability to resist moisture transmission to the mix and you have a powerful combination of benefits. No wonder then, that polished concrete is the flooring of choice for savvy domestic and commercial customers who want to combine sensational aesthetics with impressive performance and surprisingly good value. If polished concrete floors appeal to you, talk to us about specialised concrete equipment for hire. We carry an extensive range of concrete polishers, grinders and sweepers in Perth and we can help you turn your old or new concrete floor into a beautiful, life-long investment. Visit www.concretehire.com.au or contact us on 0418 222 273 for professional advice and personalised service from experienced concrete industry veterans. Concrete floors in commercial and industrial facilities take a pounding during the year, so the Christmas shutdown is an excellent opportunity to get them back into top condition and ready to handle another busy season of foot traffic and rough treatment. Even though concrete is an excellent low-maintenance and hard-wearing flooring option, it does need some care and attention to keep it performing at its best. Is your floor very dirty or dusty? Does it have old adhesives or coatings on it? Do you think it needs sealing? Is it level? Are there uneven patches? Your floor is probably one of your hardest workers - so you need to treat it properly to ensure its continued high performance. Cleaning and maintenance of your concrete floor should be an ongoing priority because a dirty or damaged floor can be a hazard in more ways than one. It can be a safety risk. It can lead to disruptions in your business operations and it can cause problems with your machinery or materials handling equipment. It may even result in unwelcome and unexpected repair costs. So, if your business closes its doors over the festive season, consider using the quiet time to clean your concrete floor. 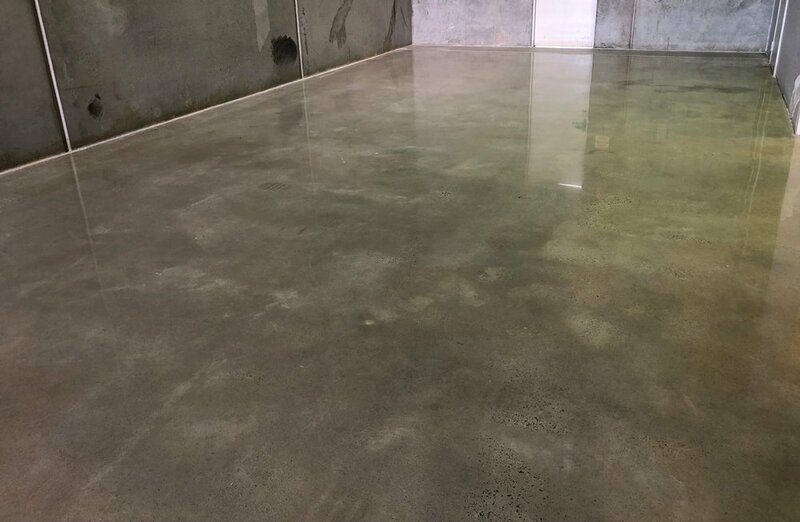 Cleaning a concrete floor can involve pressure washing or chemical cleaning to remove stains and blemishes - or it may involve grinding or honing the surface to get rid of imperfections, coatings or high spots. Regardless of what your particular requirements are, the Christmas shut-down is the ideal opportunity to have a good look at your flooring, work out what needs to be done to restore it to optimum levels and then hire concrete equipment in order to get the job done. For example, a heavy-duty ride-on floor scrubber would be ideal for fast cleaning of concrete floors in a bigger industrial or commercial property. These machines comfortably handle large surface areas quickly and efficiently, yet are easy to handle and manoeuvre. But there are plenty of different size scrubber options to choose from - and a concrete equipment hire specialist will help determine which one is best suited to your needs. If you’re going to be polishing the concrete floor at your commercial or industrial facility during the Christmas shut-down, remember to use the appropriate concrete equipment to achieve your desired finish. Polishing concrete can lower your maintenance requirements and enhance the strength, functionality and abrasion-resistance of your floor, but you will need specialised equipment that has the appropriate abrasion tooling. Concrete Hire will be up and running throughout the holiday period, so why not give them a call to discuss your concrete cleaning and maintenance requirements? They have an extensive range of specialised concrete equipment for hire in Perth and will give you professional advice on how to get the most from your concrete floor. Clean up while your office has cleared out by getting in touch with them at www.concretehire.com.au or phone them on 0418 222 273. Rip up or replace over the existing floor? There are two schools of thought when it comes to replacing flooring. One option is to simply replace over the existing flooring, or you can rip up the old floor and lay a whole new covering. Both are viable options, but your choice depends on a number of different factors including the condition of the old floor, whether you need to see what’s going on underneath the existing floor, budget and of course, personal preference. Different flooring types require different preparation. Whether you select tiles, vinyl, wood, laminate or polished concrete, you’ll need to make sure that the preparatory work is appropriate for that new flooring type - and the same goes for the removal of any existing floor type. Depending on the type of old flooring that has to be removed, you’ll need to make sure you have the right equipment and techniques to remove the old stuff in preparation for laying a new floor. The sub-floor must be in good condition. This doesn’t mean that the surface that you’re laying your new floor on has to be perfectly sanded and smooth, but it does mean it can’t have any bumps or lumps, no protruding nails, no big cracks or holes and no damp spots or water damage. All old adhesives must be removed. If you’re thinking about laying a new wooden floor over an old hardwood floor which is covered with adhesive, or if there is a sticky residue from old adhesives on the sub-floor, you should be aware that these aren’t removed completely, they could show up through the new flooring. When replacing floors in wet areas, such as bathrooms and laundries, it’s better to rip up the old covering completely. Floors can cover a host of problems and damp is one of the worst. It’s always advisable to remove old bathroom floors in order to check for any signs of leaks or water damage that were previously hidden so you can sort out the problem before laying your new flooring. Making the right equipment choices will save time, money and possibly your sanity when it comes to replacing your floors. Whether your job requires a floor scraper, jackhammer, a 60kg walk-behind floor stripper for the fast and easy removal of vinyl, linoleum or carpet tiles or a heavy duty, self-propelled floor stripper for an industrial project - you should seek advice from an experienced concrete equipment supplier. Larger machines are not always the answer to getting the outcomes you want - and sometimes all you need is a smaller piece of equipment with the appropriate blade or attachment. A machine with variable speed may also be right for your project - for example, slowing down a floor scraper can be very effective when it comes to removing stubborn ceramic tiles fixed with epoxy based mortar whilst in other jobs, increasing the equipment’s speed can mean getting the job done faster. So, when it comes to replacing flooring, don’t let improper surface preparation turn your project into a lengthy job. Discuss your needs with a specialist concrete equipment supplier like Concrete Hire so that you get it right the first time. Concrete Hire’s wide range of equipment makes short work of any concrete cleaning, preparation or finishing job and the good news is that you can hire these machines on a short or long-term basis, depending on your needs. For more information on concrete equipment hire in Perth and for knowledgeable, professional advice on the best machine for the job, please get in touch with industry expert, Geoff Holtmeulen at Concrete Hire on 0418 222 273 or visit www.concretehire.com.au. Whether you’re a large commercial builder or a home DIYer, a grout pump is one of the most important machines to have. But unless you are certain that your requirements won’t change and that every future project will be exactly the same, it makes sense to take advantage of the flexibility that hiring a grout pump brings. These machines come in many different sizes and capabilities, and because it’s possible to hire a one on both a short and long-term basis, so you can access them exactly where and when you need them. By way of illustration, here are five key reasons why hiring a grout pump makes sense. A grout pump means you can pump concrete exactly where it’s needed, so there’s minimal waste or mess. Whether you’re after a powerful concrete lime pump that can discharge 70 cubic metres of material an hour or a small and compact manual grout pump, these specialised machines will make a world of difference to your concreting job. Moreover, a grout pump will require less water than other pouring techniques so it results in a stronger, better quality material. Time is money, so why wouldn’t you want to access equipment that helped you do the job faster? If you hire a grout pump, you’ll eliminate the unnecessary costs involved in using manual labour and wheelbarrows to transport the material AND you’ll save time, so your customers (and your bottom-line) will benefit. When you buy concrete equipment, you not only make a considerable financial commitment but you’re also limited in your equipment choices. Hiring gives you far greater flexibility as you can choose the model to suit the job and scale up or down as your needs change. This flexibility means you can respond to your customers’ needs more quickly and choose equipment that is fit for purpose, rather than making do with what you have. When you hire equipment from a specialist supplier, you get the benefit of their knowledge and experience. They can advise you on the best grout pump for a particular project and will pass on all their expertise so that you can improve your business. It’s like having a technical specialist on your payroll - except that their advice is free! Grout pumps come in many different sizes, including small and compact 240V manual grout pumps for pumping grouts, self levellers and micro-fine cement injection, large 415V 3-phase machines with onboard mixers and compressors for mixing and pumping engineered grouts, renders and specialised concretes and fully automated grout stations for the production of high volumes of construction grout for screw piling, house slabs and block fill - and it’s possible to hire different types to meet varying project needs. From home handymen and owner/builders to large national construction companies, proponents of equipment hire come from all sectors of the industry. They all realise that there are many practical and economic advantages of concrete equipment hire - and if you’re interested in finding out how your business can benefit, get in touch with Concrete Hire. Saving money on a building project is every homeowner’s aim, but it’s every builder’s goal too. Builders are just as keen to get the best outcome from a construction project as their clients are - so if you’re in the building business and want some tips on how you can maximise your upside, this article is for you. Have comprehensive systems in place. The more organised you are, the greater your chances of success. With clear and defined systems in place for all aspects of your business such as invoicing, debt collection, employment and supplier contracts, project timelines etc, you’ll be in a stronger position to run a successful operation. Keep control of the business. Very few building projects go without a hitch, but if you keep a close watch on things and stay in control, you’ll be in the best space to minimise disruptions and sort out any mistakes quickly. Delays can be costly and the closer you are to the day-to-day aspects of your operation, the more likely you are to deal with issues timeously and to your advantage. Gather a strong team around you. Reputation is everything and it doesn’t take much for word to get around if your customers aren’t happy with the standard of work. That’s why your priority should be to find - and retain - a strong team of employees and sub-contractors who meet your quality standards and who understand the importance of the role that they play. It’s very hard to claw back ground once it’s been lost as a result of a tarnished reputation - and as every builder knows, recommendations and referrals are a lifeline to profitability so it is crucial that you protect your reputation by having a strong team in place. Hone your time management skills. In the building industry, time is money. You need to be able to meet deadlines, because over-runs can quickly eat into your profits. Good time management skills are essential, and you will save money on your projects if you’re able to differentiate between what’s important and what’s urgent. These two things are not the same, and you need to know how to prioritise tasks and avoid getting caught up in things that take time but that aren’t high on the scale of importance. Allocating the right amount of time for each section of work is also critical (eg estimating the timeframes for site works, brickwork, rendering, painting, paving etc) so that you avoid having to pay your subcontractors extra for unplanned hours. Develop your networks. Input costs can be significant, so you should work on your supplier network and develop relationships with them to try and secure good deals on building materials etc. Look for specials, do cost comparisons and shop around - and you could save yourself a packet. Use quality equipment. Your equipment choices will have an effect on your productivity which in turn will affect your profitability. If you buy or hire inferior quality equipment (say for example a concrete cutter or sanding machine), you will find that frequent breakdowns, unplanned downtime, ongoing repairs or replacement or poor quality outputs will cost you money. Your clients will get annoyed and you’ll be throwing money down the drain. By hiring or buying good quality machines which come with proper service contracts and comprehensive technical support, you’ll put yourself in a much stronger position to deliver a quality result and you’ll save money. Concrete Hire is one of the most highly regarded concrete equipment hire companies in Perth, with a reputation for expert advice and top quality specialised concrete equipment including concrete grinders, concrete mixers, concrete polishers and more. They’ve been in the industry for over 20 years and when you hire concrete equipment from them, you’ll get the best range at the best price. You’ll also get a guarantee that your concreting job, be it a large commercial one or a small domestic one, will be done on time and on budget. Now that’s excellent news for saving money on your next building project! Concrete Hire is also the only supplier in West Australia to have its own dedicated service centre on site with full electrical testing and tagging facilities. The centre is staffed by qualified and licensed mechanics and electricians plus it holds an extensive inventory of genuine parts which means your equipment can be back in service quickly and efficiently. Concrete Hire also offers discounted hire rates while your machinery is being repaired. For more information or to view the extensive range of concrete equipment for hire, please visit www.concretehire.com.au or call them on 0418 222 273. What Size Grinder Do I Need? If you need to tackle a concrete grinding project and are unsure of which size concrete grinding equipment to use, you’ll find this guide useful. It gives a brief description of the various types of concrete floor grinder and how they are used - plus it provides some examples of where the different pieces of equipment are used so you can get a clear picture of which one is best suited to your particular job. You do need to choose your concrete equipment carefully though in order to get optimum results, so make sure you’ve covered all your bases in terms of what you’re planning to use it for and the size of the job before you make any final decisions. Concrete floor grinders can be classified into three broad categories namely hand-held, walk-behind and ride-on. Each of these operates on the same principle of using rotating discs in a variety of types and grits to remove the damaged or unwanted top layer or layers of the slab to prepare it for further work such as laying carpets or polishing. These are ideal for smaller applications and for fiddly jobs like grinding areas that are close to walls, in corners and other hard-to-reach places. Their compact size means they’re lightweight and easy to manoeuvre so they’re a popular choice for domestic projects like smoothing concrete countertops, bathroom floors, rough patches on concrete floors and even smoothing vertical surfaces like walls and door jambs. Because they’re handheld, these grinders do require manual control to achieve a smooth surface whereas the heavier and larger floor grinders require less operator control. These come in various sizes from single disc units right up to multiple disc units, and are used for polishing larger surface areas of concrete floors in both domestic and commercial buildings. They are well-suited for profiling large slab surfaces in a relatively short space of time and are a very popular choice - even amongst first-time users. They can generally be categorised in terms of size ie small, medium and large. For example, a small unit would weigh around 50kgs and would be ideal for residential floor grinding and preparation jobs. 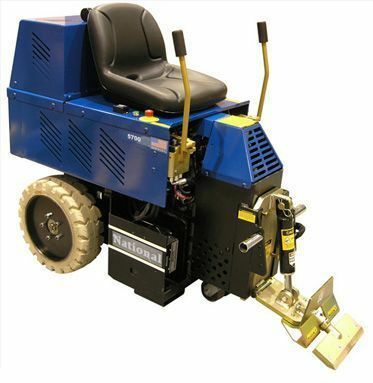 A medium-sized grinder would be a powerful 240 volt unit for large residential grinding jobs, commercial flooring jobs and for honing alfresco and outdoor areas around pools and sheds whilst a heavy-duty one would be a 415 volt machine that would be used for rapid removal of coatings, glues and membranes and for honing down lumps and bumps over large surface areas. How do you know which of these are the right size for your job? Well, the floor area that you need to cover is your biggest clue as to which type of concrete equipment you need - but it’s always best to ask the professionals for their expert advice. Now we’re talking size! These are generally used to grind and polish huge surface areas such as floors in shopping complexes, commercial buildings, retail outlets, warehouses and distribution centres etc. They can be powered by electricity, gas or propane and are able to cover around a metre wide in one pass - so you get the picture of just how effective these machines are for major jobs. Every project is different and when it comes to concrete grinding equipment, it’s definitely not a case of one-size-fits-all. We recommend that you always discuss your requirements with someone who has extensive industry experience because the right choice of equipment may not always be the most obvious one. There are many different things to consider including the size of the project, access, power available, the desired finish, the available time and manpower, portability etc and a few minutes with an expert can be the key difference in how successful your project is. If you’ve got a concrete floor in your home or commercial property, or are considering putting down a concrete surface, you probably want to know how best to clean it. Concrete flooring has become a hugely popular option in many different applications because it’s so hard-wearing, hygienic, versatile, eco-friendly, economical and of course, easy to maintain. But even though it’s such a star performer, it still needs to be cleaned from time to time. Regardless of where the concrete floor has been installed - whether it’s in a hospital, airport, warehouse, factory, shop, office or home - the best cleaning solution is to use specialised concrete floor cleaning equipment. You can get floor scrubbers and floor cleaners sweepers in many different sizes and capabilities, from powerful heavy duty ride-on equipment and self-propelled walk-behind units to portable ones which can be operated with ease by a single person. You’ve chosen a concrete floor for good reason and it makes sense to keep it looking its best and performing at its peak for as long as possible. Unlike traditional ‘mop and bucket’ or broom methods which are labour-intensive and time-consuming (not to mention messy and inconvenient! ), mechanised concrete floor cleaning equipment makes swift work of the job, leaving the surface dust and grime-free and ready for traffic. Design innovations have led to the development of ergonomic equipment that can access tight spaces and negotiate difficult angles, plus be kind to the environment too. Many of the concrete floor scrubbers use much less water than high-pressure cleaners as well as discharge waste according to EPA guidelines. They can clean and dry concrete floors whilst moving forward and reversing and because they’re designed to be quietly efficient, disruption to the working environment is minimal. The good news is that it’s possible to hire floor scrubbers and sweepers, so you can have all the advantages of top-of-the-range equipment in a flexible and cost-effective hire solution. Heavy-duty ride-on floor scrubbers. These battery-operated machines are generally used for fast scrubbing of large industrial and commercial floors (internal and external) with some models covering up to 3 500m2 per hour. They have different pads or brushes for different types of cleaning. Large ride-on sweepers. These generally use cylindrical and rotary brushes to collect dry debris and have built-in vacuum and dust filter controls to keep airborne pollutants to a minimum. Walk-behind pressure washers. These can be used for pressure-washing concrete or asphalt floors and walkways, with some models offering a detachable handgun which makes light work of cleaning walls and tight areas. A good concrete equipment hire company will offer a range of sweepers and scrubbers in various sizes and configurations so that you get the ideal cleaning solution for your particular application. Some will also offer additional options such as burnishers and space heaters for a complete cleaning solution. When it comes to hiring concrete equipment, you should partner with an experienced company who can make recommendations based on your particular application and your needs. There’s no need to hire a large ride-on scrubber if you only have a limited floor space to keep clean, and on the flipside, you wouldn’t want to tackle the dust in your 10 000 square metre warehouse floor with a small sweeper. How Do I Prepare My Floor For Laying Timber? If you’re laying a new timber floor, you need to prepare the substrate properly otherwise you run the risk of having to redo the whole project entirely. This would be enormously frustrating and time-consuming but worse still, it could be extremely costly - so it is really worthwhile putting in the effort to make sure the surface is prepared correctly so that the end result will be perfect. There are several ways of preparing a concrete substrate before you lay a new timber covering on top, but the most effective and easiest way is to use a concrete grinder. In fact, a concrete grinder is a good choice for preparing a surface for laying ceramics, vinyl, tiles and carpets as well as timber floors because it’s not only likely to produce the best results, it’s also likely to be the most cost-effective option. Hiring a concrete grinder is certainly a more economical option that using a floor levelling compound or a filler to smooth over the entire floor, and the results are excellent. What’s more, concrete equipment hire isn’t expensive and with the right tools and know-how, you can achieve a professional result with your DIY project. How does a concrete grinder work? In simple terms, a concrete grinder works by using rotating discs embedded with diamond grit of varying roughness to grind down the surface until it’s completely level, smooth and clean. Depending on the scale of your project, you can hire concrete equipment of all different sizes and capabilities - from lightweight grinders for small residential floor grinding and preparation jobs to high-speed heavy duty ones for large commercial projects - but they all fulfil the same purpose, and that is to remove glues, coatings, paint, wax, sealers, membranes and other debris and to grind down high spots in preparation for the new floor coverings. Let’s look at how you prepare your floor for laying timber. The first thing to note is that the floor has to be dry, flat, even, smooth and clean so that the new floor covering will be able to bond tightly onto it. Any adhesive or residue between the old surface and the new covering (such as tile debris, mortar-based tile glue etc) will compromise the quality and longevity of the new flooring, so it is essential that all residual material is removed completely. Another very important thing to note about laying timber floors is that the substrate has to be completely dry. Wood absolutely hates moisture and if the slab isn’t completely dry, it may cause the timber to warp, twist and expand. This is an important consideration, especially if you are going to be using the wet concrete grinding method as opposed to the dry one. Wet concrete grinders use water so it is imperative to wait at least 5- 7 days 24 hours (depending on environmental conditions) for the floor to dry out before installing the new floor. Whilst the wet method produces a slurry from the mix of concrete dust and water, the dry method produces volumes of silica dust. Collecting this dust and mitigating its negative effects on health and environment is a key consideration when you use a concrete grinder, and you should ensure that any equipment that you hire has the right kind of vacuum attachment with the appropriate filtration capabilities. Household models should not be used as they are not sufficient for this type of dust, and could be damaged irreparably. You must also ensure that you have the appropriate safety gear such as protective goggles and dust mask. As mentioned, a concrete grinder uses circular discs of varying grit to remove coatings and smooth over any small ridges or high spots, such as those found along expansion joints. You will also need to fill any dips or chips with patching compounds to ensure that the surface is completely level. As every flooring project is unique, it is important to choose a concrete equipment hire company that is happy to spend some time with you discussing your requirements and your desired outcomes and finding the best and most cost-effective solution. The quality of the floor preparation will have a direct impact on the quality and durability of your new timber flooring, so it’s really important to choose the right equipment to get the job done properly. An excellent option for hiring concrete equipment in Perth is Concrete Hire, a family owned WA business with a highly experienced team of professionals on board. Concrete Hire’s core business is the hire of specialised concrete equipment relating to concrete grinding, polishing, pumping, cleaning, repair and demolition and they have the equipment, the expertise and the desire to get your job done properly, on time and on budget. To speak to one of their friendly team about your concrete preparation job, give them a call on 0418 222 273 or get in touch via their website, www.concretehire.com.au.